This grinder has elegant lines. It is convenient and practical. 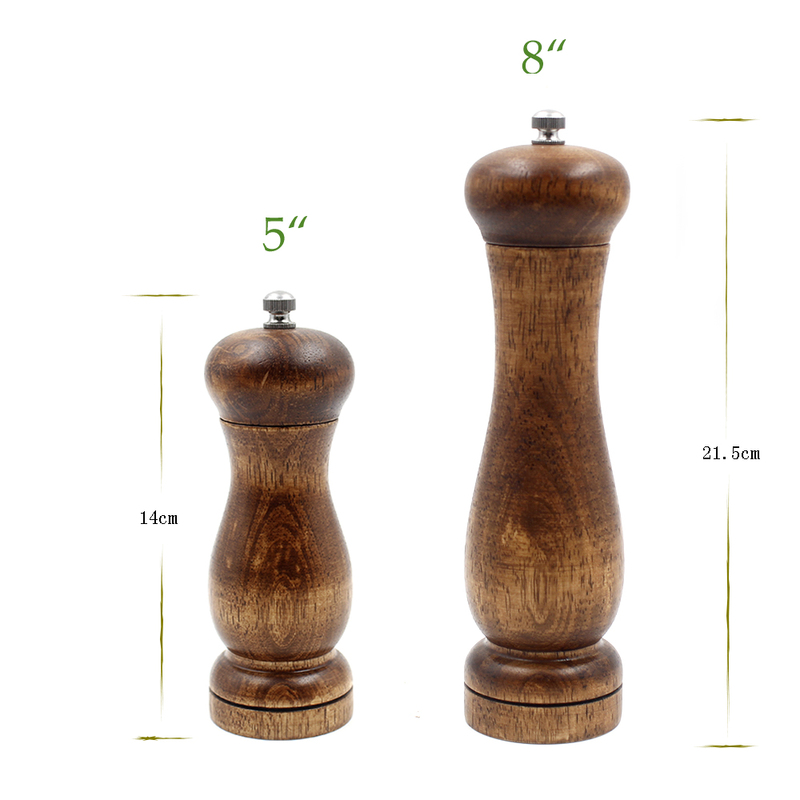 Generally used to grind pepper and salt. Its bottle body is made of solid wood. The bottom is equipped with a ceramic grinding core and the top has a screw, you can rotate it to adjust coarse and fine, but please note that you can’t use it to grind very hard things like dried fruits. Since the natural wood surface needs to be painted to prevent rot,many factors will cause the color difference in the process. We will try our best to keep its wood texture clearer.Meanwhile, we will deliver the mills in a uniform color.